Heat-strengthened glass is annealed glass that has been heated to approximately 1300°F, where it reaches its softening point, then cooled to create surface compression. This compression allows the glass to tolerate more rapid and uneven temperature swings. 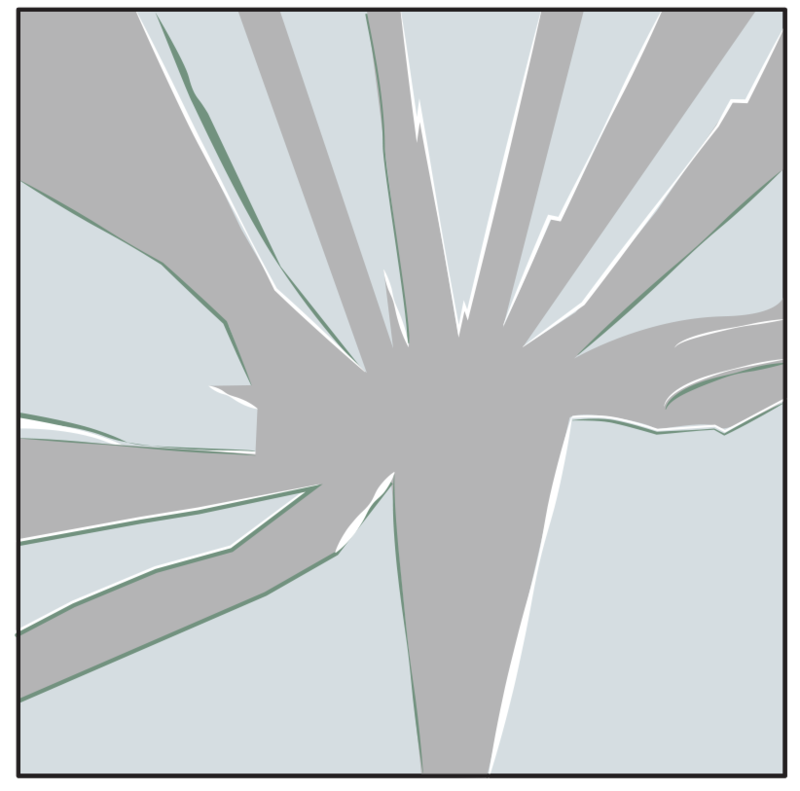 Heat-strengthened glass is approximately 2 times stronger than annealed glass; however, if impacted, heat-strengthened glass will break into medium-sized shards.